Chromebooks are now an integral part of every student’s classroom life. Most schools are pushing for the one-to-one policy which puts a Chromebook in every student’s hand. State testing for students are also now conducted through their respective apps on Chromebooks. Although, Chromebooks are now everywhere, the storage options for them are still somewhat limited. 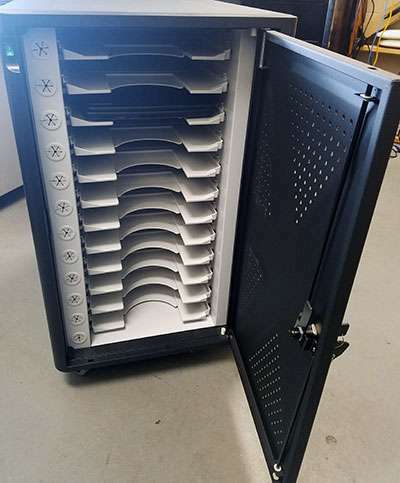 I have seen very few Chromebook storage options in the market that are cost effective, well built and provides convenience for everyday classroom use. So when Kensington offered to send our school two different types of Chromebook storage options for review, I was thrilled. I appreciate it when manufacturers take their time to listen to their customers and use that data to improve their product line. I was introduced to Kensington through our educational reseller CDWG. Our review items included the Kensington Universal AC Charge Station – Cabinet Unit & the Kensington AC12 Security Charging Cabinet Unit. 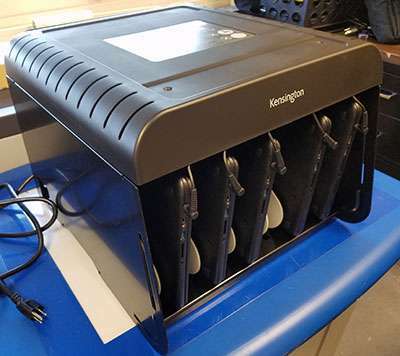 Both units differ in their usage, the Kensington Universal AC Charge Station is a fixed solution that provides Chromebook storage for classrooms. 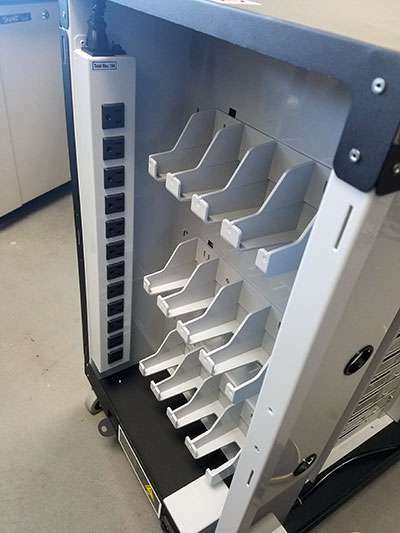 The AC12 charging cabinet or chrome cart allows for mobility from classroom to classroom. 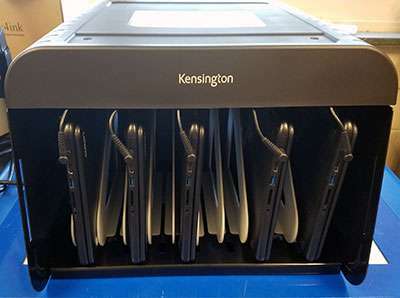 The Kensington Universal AC Charge Station provides storage for 12 Tablets/Notebooks up to 14 inches. Our 14 inch Lenovo N42-20 Touch Chromebooks fit in the slots perfectly. These units are very built (steel construction) and have a premium feel to them. The cable management is also great and keeps dangling cables out of sight. The power adapter inside provides surge protection for all devices. Our teachers had wonderful things to say about this product, they used the following keywords to describe this product. I will be looking into purchasing more of these units in the near future from Kensington’s educational resellers. 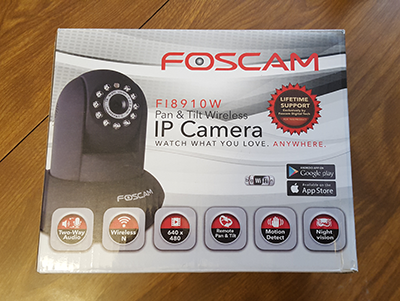 Below are some of the detailed pictures of the products that I’ve took for this review. Here are the direct purchase links for the Lock Cover for the Universal AC Chromebook Charging station. The AC12 security charging cabinet unit from Kensington is a budget friendly solution for Chromebook storage and mobility. The AC12 can hold 12 – 14 inch Chromebooks/Notebooks perfectly. They are also easy to move around from classroom to classroom. 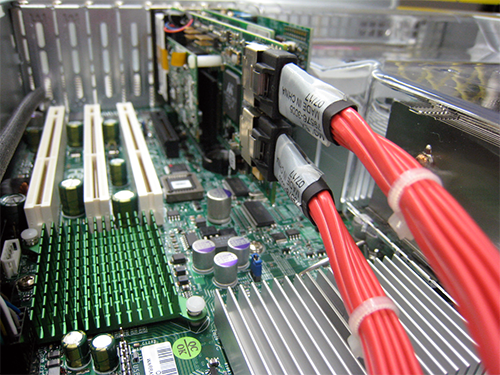 You can keep cable management very tidy on these carts and they are easy to manage as well. All side and back panels of the cart are removable so cable feeding is a struggle free experience. I wish more Chromebook mobile cart manufacturers would do the same. The AC12 comes with two secure lock keys – this is great! so IT can keep a key and give the other one out to the teacher. I am not sure if Kensington has a bigger cart for around the same price range but our teachers love this unit. I wish Kensington would make a 24 device version of the same model in the near future while keeping a competitive pricing model. To sum up, here is what we think about this product. I am a Blogger & Tech Enthusiast, Web Design and S.E.O is also my passion. If you are interested in my services, you may hire me to do content writing, content marketing or other S.E.O work.